"Snow is a wonderful mirror for moonlight, bathing the landscape in a soft silver glow. 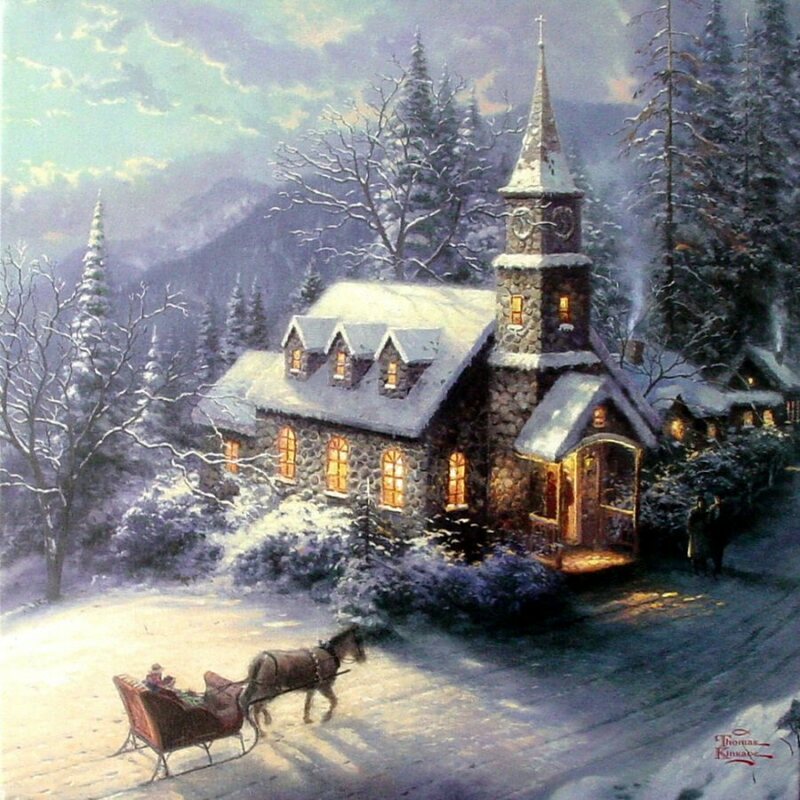 Here is a church built on a hillside, where it becomes a beacon of hope for its village; worshipers arrive in a swift, cozy horse- drawn sleigh. The moonlight casts dramatic shadows and under its spell, the lamps in the valley below twinkle with a special radiance."